Welcome to Cunningburn Cottages, situated minutes from the shores of Strangford Lough near Newtownards in County Down, Northern Ireland, in the United Kingdom. 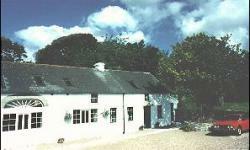 The two hundred year old building now Cunningburn Cottages was once part of the first Lord Londonderry's estate in Newtownards, Northern Ireland. Great effort has been made to ensure that this quality accommodation retains much of its original rural atmosphere and character, while ensuring modern levels of comfort. Much of the furniture in the Cunningburn Cottages was especially commissioned and has been hand made by local Newtownards craftsmen. The accommodation at Cunningburn Cottages consists of both one and two bedroomed Cottages, each with open-plan ground floor comprising kitchen, living and dining area with pine kitchen units and furniture. Upstairs are bedrooms and bathroom. 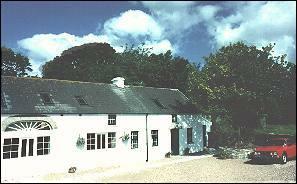 The one bedroomed cottage sleeps two to three, while the two bedroomed cottage can accommodate four. 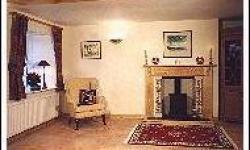 Facilities include colour television and oil-fired central heating in all the Cottages. A floodlit, sheltered barbecue area, a well equipped laundry room and ample parking are also available within the complex. Nearby attractions to Cunningburn Cottages in this area of natural beauty are many and include fishing, golf, horse riding, country sports and walking. The eighteenth-century Mountstewart Estate is situated within a mile of the accommodation. The renowned Ulster Folk and Transport Museum at Cultra is a twenty minute drive away, while Castle Espie Wetlands and Wildfowl Centre, the Exploris Aquarium and Scrabo Country Park are all within easy access. A recently opened attraction in the vicinity is The Battletown Gallery. It offers a varied programme of contemporary Irish art and will soon be providing short tutored residential courses for the interested amateur. +44 028 9181 2828 ?